Related to the Bernard Madoff hedge fund fraud case - A hedge fund investor just sent me a letter he received from his hedge fund of fund. This is interesting because funds are learning to react very quickly to these types of fraud events to separate themselves from the situation. It also points out that Madoff's hedge fund traded through and was its own custodian of the assets of their own hedge fund - a often frowned upon approach which most hedge funds do not use. As many of you are aware, yesterday evening the SEC initiated proceedings against Bernard L. Madoff and Bernard L. Madoff Investment Securities LLC. We wish to communicate that our hedge fund of funds do not currently have nor have they ever had direct investments with any of the aforementioned entities. We are familiar with the split-strike conversion strategy the Madoff funds employed. In our judgment, the reported returns of the Madoff funds exceeded what can be reasonably expected from the strategy. Since the return profile could not be explained to our satisfaction, we did not consider the fund for investment. In addition, Madoff's organization was the investment advisor, prime broker/custodian, and executed all the fund's trades through his broker dealer. Our due diligence process precludes us from doing business with funds that are set up with the limited oversight implicit in such a structure. any market environment. The market environment we are currently experiencing exposes the strengths and weaknesses of those efforts. We will continue to work to protect our limited partners and their assets. Please feel free to contact me or any member of our team with questions or comments. 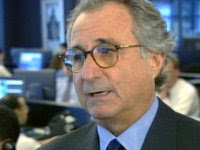 Read our profile on the Benard Madoff Hedge Fund Fraud case by clicking here. someone with a sensible and pragmatic approach to investing in hedge funds....or anything for that matter. How in gods green earth can people be so smitten by non-verifiable returns and a process that even on the surface lacked efficacy in its openness, make such big bets risking fortunes and future? I feel as though I'm in something of a warp. The accounting weakness alone red-flagged us. I never got to the self-administration and brokerage. Thank you for printing something from which people can learn.